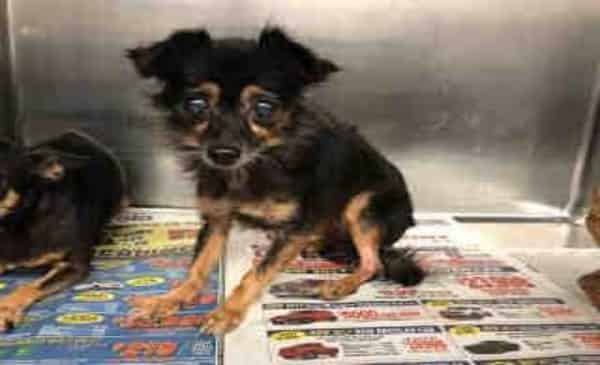 #A5128805 My name is STELLA and I'm an approximately 12 year old female Chihuahua. I am not yet spayed. I have been at the Carson Animal Care Center since 11/9. I will be available on 11/9. You can visit me at my temporary home at CRECEIVING. My former family who owned me for more than 5 years had to give me up because they couldn't afford the care I need. But they said that I have not been housetrained. I am good on a leash. I am just learning obedience skills. I seem to get along well with dogs. 2 Responses to "12 year old senior dumped at high kill shelter, trying her best to keep a brave face"